Download OnePlus 5T Sandstone White Stock Wallpapers In 2K Resolution: OnePlus 5T was launched with Midnight Black color and everyone was taken aback due to the lack of color choices. 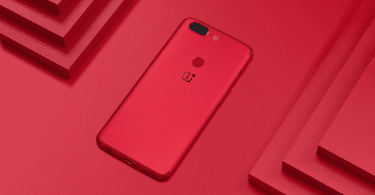 The company had strategized to launch different color variants in different time frames to keep OnePlus 5T trending throughout the year. The plan seems to be working as the new variants are getting sold off within seconds in their respective flash sale. The next variant of OnePlus 5T that the company has confirmed is Sandstone White and just like other variants, it comes with some exclusive stunning stock wallpapers that are worth downloading. OnePlus 5T Sandstone White will be launched in India after the launched of Lava Red. It has already been launched in China. The specifications of the smartphone will be same as OnePlus 5T Midnight Black or other variants. 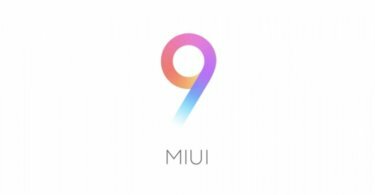 It will have 8GB of RAM and 128 GB of internal storage. The display will be the exact same with 6.01-inch AMOLED screen with the Full HD+ resolution of 1080 x 2160 pixels. The aspect ratio is 18:9 and the screen is protected by 2.5D Corning Gorilla Glass 5. It runs on Android 7.1.1 based on OxygenOS and you can expect the Oreo update soon. It has the latest Qualcomm Snapdragon 835 chipset which is an octa-core CPU. The primary camera has a dual setup of 16 MP + 20 MP and the front camera is 16 MP. The battery capacity is 3300mAh with fast charging facility and there is fingerprint scanner along with the unique face recognition facility. Note that you cannot expand the storage capacity as there is no slot for microSD card. How To Download OnePlus 5T Sandstone White Stock Wallpapers? Just like other limited edition variants, OnePlus 5T Sandstone White will have some exclusive stock wallpapers that will make the smartphone different from other variants. There are precisely 6 stock wallpapers that the smartphone comes with. All these 6 stock wallpapers have 2K resolution and the aspect ratio is 18:9. Hence, they are a perfect fit for all premium and flagship smartphones available and they are going to be perfect for future phones as well due to 2K resolution. They are bundled together and the downloadable link is provided below for easy download on your computer or your smartphone directly. They are perfect for light as well as dark themes. They are going to set your smartphone apart from others.